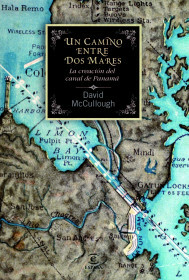 David McCullough es historiador, profesor, escritor y conferenciante. Ha recibido numerosos galardones, entre otros el premio Pulitzer (2 veces), el National Book Award (2 veces, una de ellas por este libro). Entre sus obras destacan: The Johnstown Flood, The Great Bridge, Mornings of Horseback, Brave Companions, Truman, John Adams, 1776 y The greater Journey.